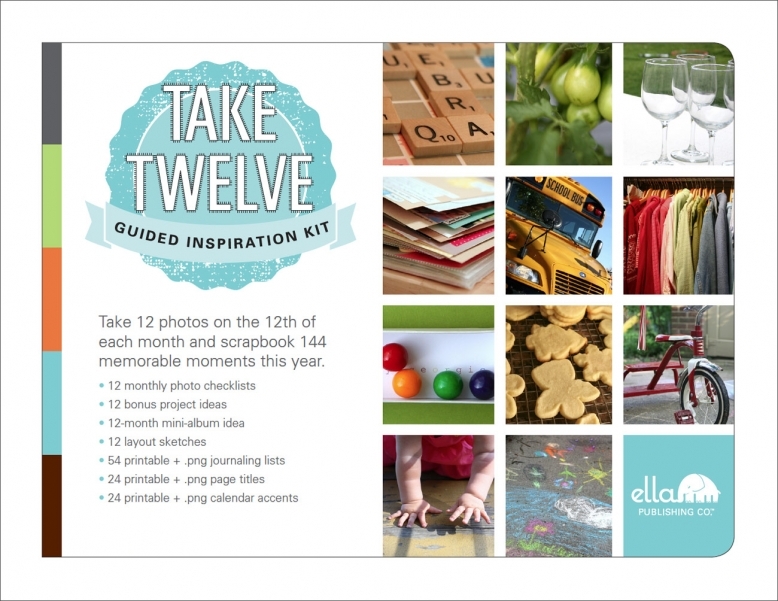 Take 12 with Ella Publishing Giveaway! How about a giveaway today!? Great! So today we are giving away Take 12 Inspiration Kit from Ella Publishing. Super fun way to scrap! The goal of the 2012 Take Twelve Project is to take 12 photos on the 12th day of each month for a full 12 months—and scrapbook them! You can join in the fun anymonth of the year, but we hope you'll join in starting January 12. Get the scoop at ellapublishing.com/taketwelve. Learn more about the history of the Take Twelve project and see our FAQ section. Leave a comment telling why you need this by midnight PST Thursday and one lucky person will win!! YAY!! Open to all! I need this because I need to make more time to scrapbook our memories. This is something I think I can do instead of PL. Thanks for the chance. This looks like fun! I've never done this type of class...the templates will make it much easier than trying to create it yourself...like I said...looks like fun! This sounds like an awesome project and one I'd really like to try. I love the idea of taking all the photos on one day so you can scrap it right away and not have to wait until the end of the month or something. It would be fun to see where this takes me! I would lvoe to take part in this class becaus eI don't take enough photos of 'everyday life'. 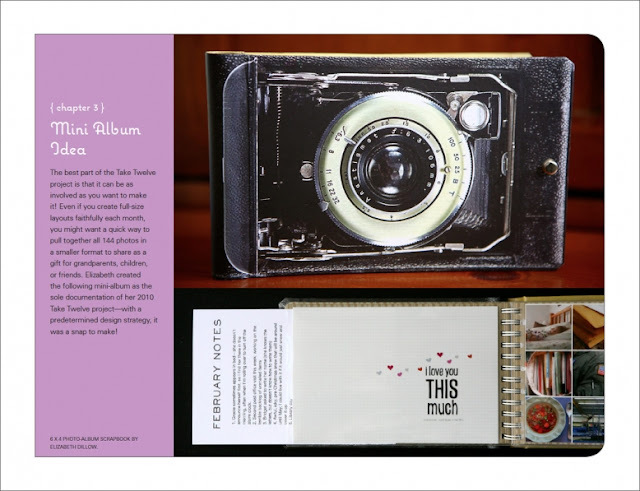 I would love to have this, as it would motiviate to not only do this, but other scrapbook projects as well, as I am someone who works well on deadlines! Cool idea! I'd love to try this scaled-down version of project life. Project life just scares me. I would actually like to win this for my daughter. She just graduated from college, and wants to start making scrapbooks as a hobby. So she wants to learn more about photography, learn how to put them together, and be motivated to do it. I think this would help. Thanks. I'm wanting to do more with my photography and need to take more photos! Thanks for the giveaway chance. This is a good idea- I just can't commit to Project Life so I like a monthly idea that isn't so intense! love the idea. It seems very doable. awesome! thanks for the chance!!! Looks like another great class to take from Ella! Thanks for the chance! This is definitely inspiring... I'll love to try this monthly challenge. 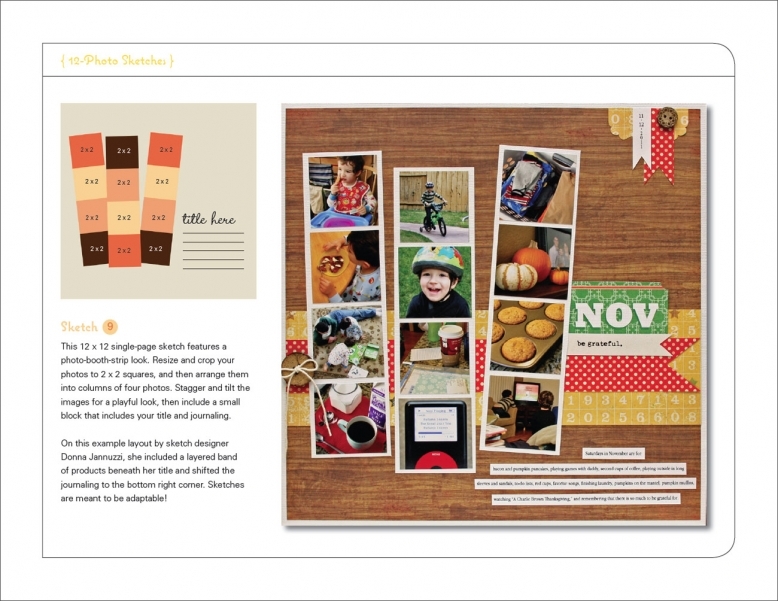 This looks fun...I love scrapping with smaller photos. This would be a great way to keep me motivated throughout the entire year! Plus my husband turns 40 on Jan 12th and that would bee a great way to start it! Wow love this kit. It's a great way to be able to scrap a yr worth of photo's for each child of mone. It's amazing how they grow up so fast. and at the end of the yr you can see the differance that you noramlly woulndn't. I am bad about not taking pictures each month and this would motivate me to complete the task! i've always wanted to do a challenge like this. i just need the inspiration! This will be a perfect complement to my Project Life! Can't wait to be inspired!! Thanks! I have seen this mentioned at various sites that I belong to but I didn't really understand the concept until seeing this and WOW..... I love it! I'm horrible at taking those "just because" pictures and this is such a great way to get you into the habit of including this way of scrapping into your albums!